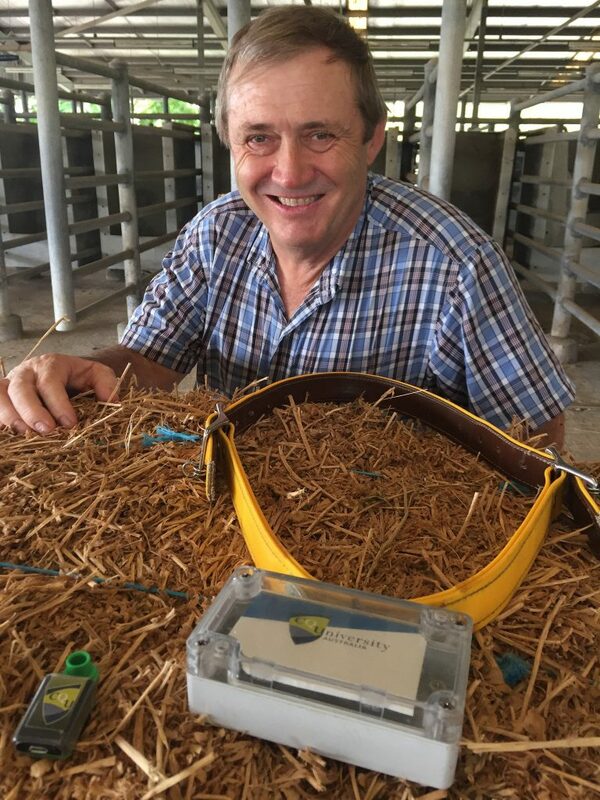 Visiting Fulbright scholar Professor Derek Bailey is working with CQUniversity’s Precision Livestock Management team to monitor animal welfare through the use of GPS technologies. A leading United States scientist is joining forces with CQUniversity Australia to tackle animal welfare challenges in extensive production systems, through the use of digital technologies which can identify sick animals before the farmer even leaves the homestead. Visiting Fulbright scholar Professor Derek Bailey, of New Mexico State University, will be based in Rockhampton for four months while he works with CQUniversity’s Precision Livestock Management team to monitor animal welfare through the use of GPS technologies. Among the research activities Professor Bailey will undertake while in Australia is a collaboration with CQUniversity Associate Professor Mark Trotter to monitor livestock carrying ticks at AgForce’s Belmont Research Station, to identify if behavioural patterns are different to treated animals. “One of the cool things about coming to CQUniversity is that the team here is very close to having real-time or near real-time tracking of livestock,” Professor Bailey said. GPS devices are affixed to a collar which sends signals to transmission towers, with the data displayed back at the homestead on a web-based app or in the field via a smartphone. “We expect that this sort of technology will become commonplace on farms in years to come,” Professor Bailey said. “When it does, this sort of behavioural information will be invaluable for ranchers with extensive pastures where cattle are to free roam out in the range, but can’t always be monitored. The Fulbright Program is the US flagship foreign exchange scholarship program, aimed at increasing binational collaboration, cultural understanding, and the exchange of ideas. The program was established by Senator J. William Fulbright in 1946 with the ethos of turning ‘swords into ploughshares’, whereby credits from the sale of surplus American war materials were used to fund academic exchanges between host countries and the US. While at CQUniversity, Professor Bailey will share his experience as the director of NMSU’s 25,000-hectare Chihuahuan Desert Rangeland Research Center, located north of Las Cruces. In return, CQUniversity researchers will assist him to analyse spatial data he’s collected on the movement and behaviour of cattle on the US rangelands. “This Fulbright scholarship gives me a chance to work with others to analyse and make more sense of this huge amount of tracking data that we’re collecting in the US,” he said.